Escorted departures in 2018 in Jan, Feb, March, & November , other dates on request. 1st day: Meeting point at Genova airport at 10.30 in the morning from where we’ll reach Monterosso a Mare. 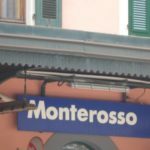 Monterosso is the first little town of the five territory of Cinque Terre, which in Italian means literally “five territories”. Monterosso is known all over the world for its uniqueness, it’s a colourful town clinging onto the cliff & facing the rugged beauty of the rocky shores, historically renown as a fisherman village and still serving some of the best seafood fresh from the fishermen daily. 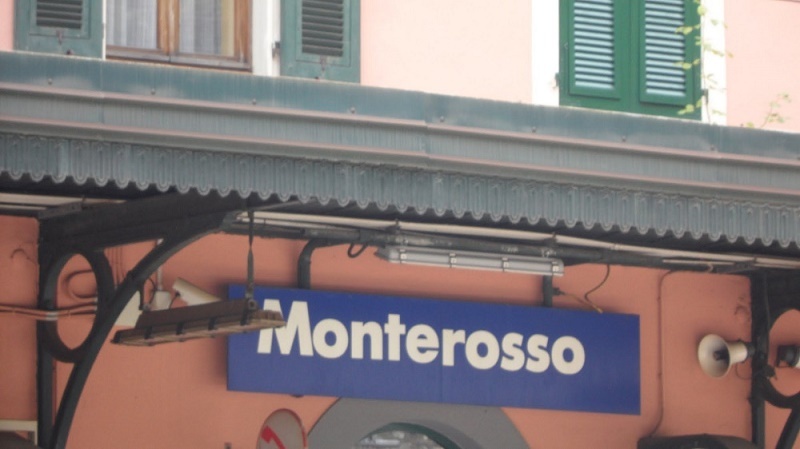 We will arrive in Monterosso for lunch, and then stay in a fantastic agriturismo. We stroll in the beautiful property and spend time with our host. 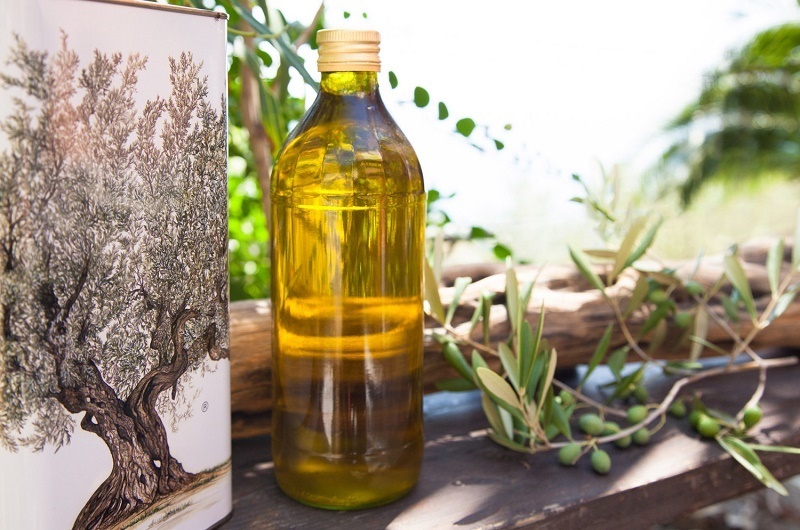 This agriturismo produces unique olive oil, delicious honey, grappa and a special limoncino liqueur, that we are going to taste during lunch. After our lunch and tasting will go for a “passeggiata” in the ancient center of the little town, we’ll have a coffee in one of the best cafeteria in the town, then back to the agriturismo for a light dinner. 2nd day: Our cooking class is waiting for us, our chef master Maria will teach us as to make the “pesto alla Genovese” and how to prepare the original pasta recipe of “pasta al pesto”. Will then have lunch at the cooking school where we taste the dishes we prepare. 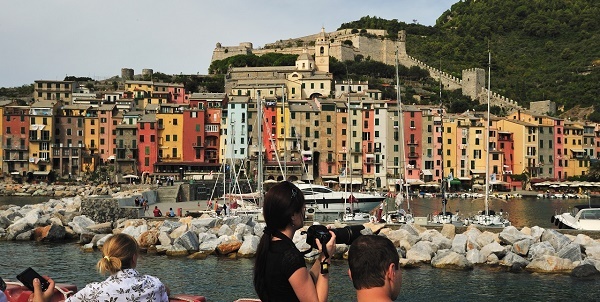 In the afternoon travel to Vernazza, the second of the five territories of Cinque Terre. Our day will finish with a luxury wine tasting which will include the Cinque Terre DOC wine and Sciacchetrà wine, during the tasting you will be delighted by a selection of delicious traditional crostini. Dinner will follow in the best ristorante of Vernazza, get ready for a breathtaking view and for an amazing fresh seafood dinner. 3rd day: in the morning free time to spend in Vernazza downtown, you’ll be amazed by the wonderful gourmet boutiques and the delicatessen you’ll find, a nice day to do some shopping if you wish. We will meet again for a very special lunch; you are going to taste the best panino in your life! 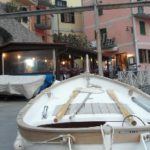 Then some time to rest and freshen up at the hotel, we will meet again for dinner, which will take place in a typical Ligurian Vineria (Wine bar), where we will taste some cold specialties, as the famous Vernazza anchovies. 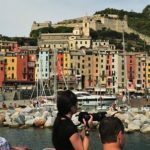 4th day: In the morning we will leave to Corniglia, we’ll first have a walk downtown, where will stop “al bar” for “cornetto e caffè” (Italian patisserie and a special cafè). 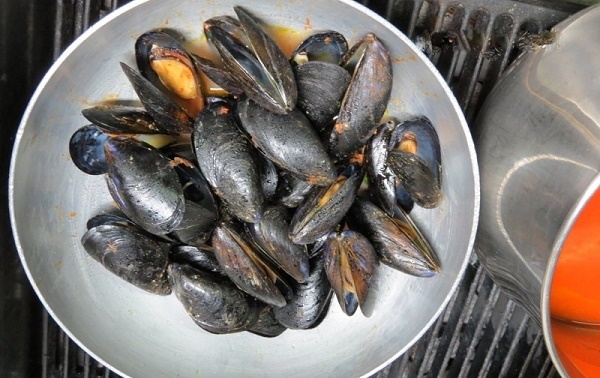 Then will get ready for lunch, are you ready for a special experience? We’ll have lunch in Cantina (an old cellar), please, don’t get embarrassed by the “surly” manners of our host, it will be a very funny and unique experience! When we reach our hotel, some free time in the afternoon and we’ll meet again for dinner for a special Ligurian pizza. 5th day: we’ll leave to the jewel of Cinque Terre, Manarola. 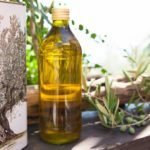 We’ll start our day with an exciting passeggiata to the local fresh market, where we will meet the local producers, then an exciting cooking class, we’ll prepare home made pasta tagliatelle, the traditional Ligurian pasta and other typical dishes. We have lunch there & in the afternoon free time to spend in Manarola. 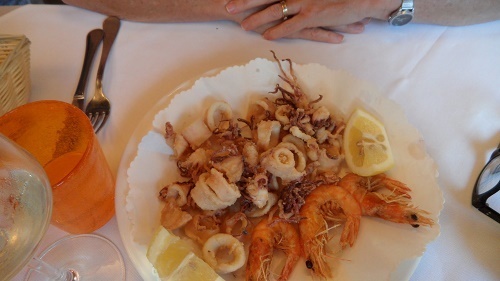 We’ll meet again for dinner in the most famous seafood restaurant in Manarola. 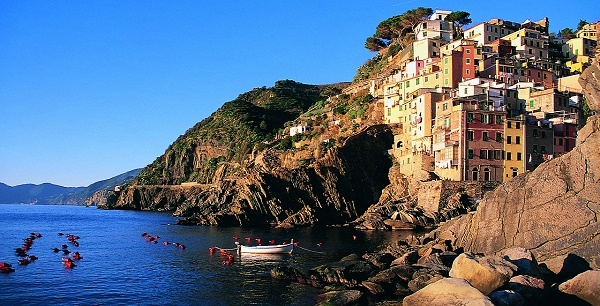 6th day: in the morning we will leave to our final destination, Riomaggiore, the fifth pearl of Cinque Terre, our day will start with the visit at the local winery, where we will have a special wine tasting with their best Ligurian wines. 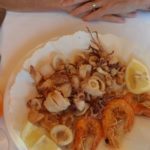 Lunch is “fried fish cartoccio”, in a place where local fisherman bring the best fresh fish that there is transformed in mouth-watering paper cones. After lunch we’ll visit a local traditional gelateria (ice-cream shop) for a special ice cream experience. We’ll then visit the town, the ideal moment to do some shopping in the wonderful boutiques downtown. Then some free time at the hotel and we’ll meet again for an “aperitivo di arrivederci” (goodbye aperitif) and our last dinner together in the most typical restaurant of the town. 7th day: after a stop in a traditional bakery where we’ll have cappuccino and cornetto, we’ll leave to Genova (airport or station), at about 11 am. we keep our tours small and therefore personalised. 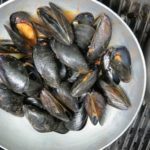 Personal English Speaking Food & Wine Expert Guide ; Our guides are our partners in this business and they are passionate about making your tour a very memorable experience. Cinque Terre wine and food tours.Join The Wine and food Traveller and experience the real Italy, off the beaten track and tucked away on the coast of Liguria. This is an exclusive tour where you taste the best gourmet produce, meet people that only our hosts have access to and enjoy the Italian Lifestyle with locals. Cinque Terra Wine and food tours . Historic, spectacular, multi-colored borgoes overlooking the Mediterranean Sea, nestled between rocky reliefs and steep cliffs that are a sheer drop away from the coast, terraced hillsides where world-famous vineyards triumph – this is the Cinque Terre, in Liguria: Monterosso, Vernazza, Corniglia, Manarola,and Riomaggiore. The inhabitants of Cinque Terre benefit not only from its pristine waters, but from its natural environment, where wild nature is interspersed with vineyards, olive groves and citrus orchards, creating a precious bond between man, his traditions and this breathtaking stretch of coast Liguria is also known as the Italian Riviera, due to the large number of seaside resorts dotted along its coastline that stretch out either side of Genoa. 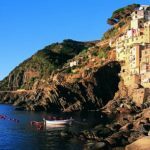 The famous and spectacular hillside area called Cinque Terre is where this tour is based and we meet some amazing producers of local product, participate in cooking classes and travel Italy discovering the Italian Lifestyle with a special wine and food tour of the region.